this is a wonderful post Linda, I tip my hat to you and your father. Chilling, moving and full of love, honor and respect. 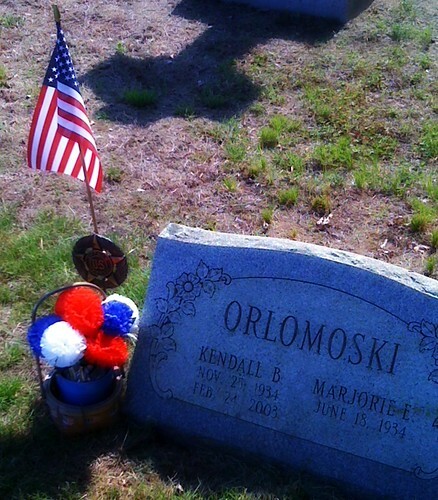 I must admit I was not surprised to see a grave stone, given the many posts you do of cemeteries, but I got goose bumps and tears in my eyes when I saw "Orlomoski" on the head stone. Thank you for your service, MSgt. Orlomoski. Beautiful post, Linda. 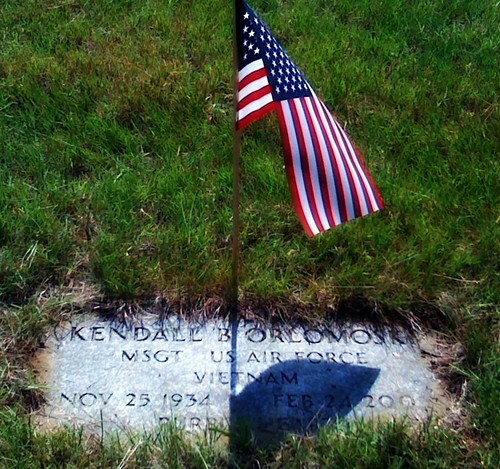 I also got tears in my eyes when I saw this photo of your father's gravestone the other day. I also thank your dad for his service. Thank you to you and those of your family who served. I second Bee's comment. He knows. Thank you for supporting your family member in service and for your service, as well. HUGS!